The A320 Study Guide includes vital information on all the aircraft systems including systems, performance and low visibility operations. 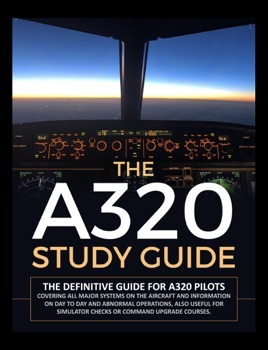 A great study aid for students, current pilots, type rating or command upgrade courses. Each section contains pertinent information on the aircraft systems, limitations, questions & answers and also common associated failures. This is a terrible study guide. It barely covers any of the systems. Stay away from it. Your company CBT will do a far better job than that.